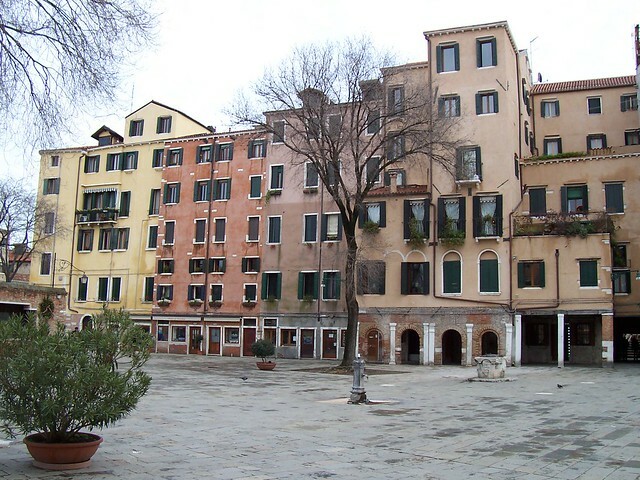 Venice's storied Jewish ghetto, a tiny island no larger than a city block in the lagoon city's Cannaregio district, made news at the end of 2014 with the announcement of a $12 million renovation project, spearheaded by German-Jewish designer Diane von Furstenberg and the Venetian Heritage Council. The complete redesign of the neighborhood's Jewish Museum and renovation of three of its five 16th century synagogues, some of the oldest in Italy, is slated to be completed in 2016, which marks the 500th anniversary of the founding of the ghetto and the date in which the island, still an important Jewish cultural center, will be inducted into UNESCO's World Heritage sites. Venice's ghetto is one of the most interesting and unique corners of this captivating city, testament to both its rich history and its complicated relationship with its Jewish community over the centuries. 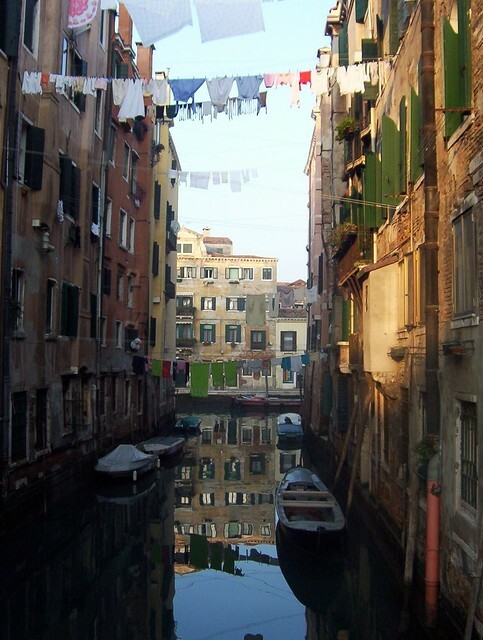 Just a few minutes from the bustling calle and canals around Venice's most famous sights, “il ghetto ebraico” is a quiet, residential quarter which offers visitors a different perspective on La Serenissima, both past and present. In 1516, the Venetian Republic relocated the city-state's seven hundred Jews to the abandoned site of a Medieval foundry; indeed, “geto” is old Venetian dialect for "foundry” from which the modern word "ghetto" originates. The ghetto, divided into the Ghetto Nuovo ("New Ghetto") and the adjacent Ghetto Vecchio ("Old Ghetto"), was completely encircled by water and its only two access points were controlled at night by heavy gates manned by Christian guards, who both enforced the institutional segregation of its inhabitants and protected them from the increasing intolerance of Jewish moneylenders and merchants, seen as a threat to the Republic's strictly controlled commerce. By the early 1600s, the population of the ghetto had grown to more than 5,000, all crowded into a stretch of land little bigger than the original boundaries of the island. Despite its segregation, the Jewish community in Venice never coalesced into a distinct "Venetian Jewish" identity, but remained a loosely-knit group of separate sub-ethnicities, including German, Italian, Spanish, and Sephardic...each worshiping at its own synagogue. The ghetto was disbanded in 1797 with the arrival of Napoleon and Jews were free to live and move throughout the city, though full rights were only granted with the foundation of the Italian Republic in the 19th century. 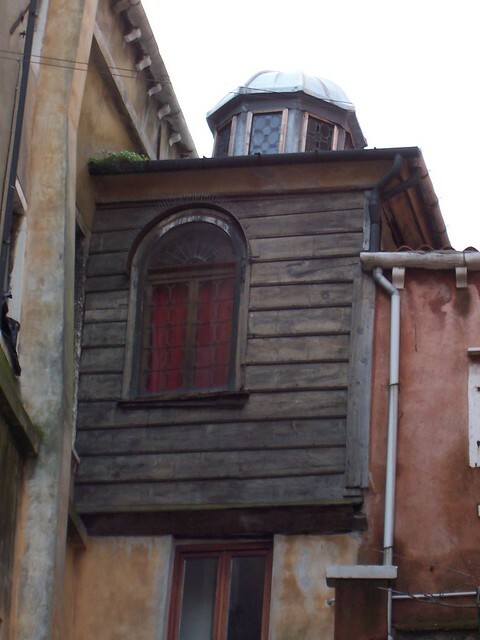 By World War II, little more than 1,500 Jews remained in the ghetto, many of whom were deported to Nazi death camps, and today the ghetto remains both a monument to Venice's Jewish history and its small but vibrant Jewish community. The ghetto consists almost completely of the Campo di Ghetto Nuovo square (the oldest section of the ghetto, despite its name) ringed by surprisingly towering palazzi (some as high as seven stories), testament to how the 16th century residents were forced to build up rather than out to accommodate the island's growing population. The ghetto's five historic synagogues - the Schola Tedesca for the German community, the Schola Italiana and the Schola Spagnola for the Italian and Spanish communities, the Schola Levantina for the Sephardic community, and the Schola Canton, a private synagogue built by four local families - are all located on the top floor of historic buildings, as the Venetian Republic forbid the building of free-standing synagoges, and are distinguishable from the residential housing by the small rooftop domes that indicate the position of the pulpit. Two of these synagogues are considered among the most beautiful in northern Italy: the Schola Levantina (Levantine Synagogue), with its magnificent 17th-century woodworked pulpit; and the Schola Spagnola (Spanish Synagogue), with its sweeping staircase, both of which have interiors renovated in the 17th century thought to be the work of Baldassare Longhena. The Ghetto's Jewish Museum offers guided tours of the historic synagogues hourly beginning at 10:30 am, or can arrange private tours to either three or four of the synagogues upon request. This small museum, founded in 1953 and the object of intense renovations this year, is a good place to begin your visit of the neighborhood, with its poignant collection of antique local artisan gold and textiles, historic religious artifacts and texts, and domestic and personal effects from the centuries of ghetto residents. After your visit to the museum and the synagogues, take a walk through the surrounding neighborhood, where the kosher bakeries, restaurants, and signage in Hebrew sit side by side with a number of trendy cafés and fashionable Venetian restaurants, as the long tradition of coexistence (more or less peaceful) between Venice's Jews and Christians lives on. Owned and run by Orthodox Jews from New York, GAM GAM Kosher Restaurant (Sestiere Cannaregio 1122) has both table service and take away meals, and fresh bakery items. You can wash your matzo ball soup down with a bottle from their collection of Kosher wines, the largest in Italy. For a mix of classic Venetian and Kosher, Ai Quattro Rusteghi (Campo del Ghetto Nuovo, Cannaregio 2888) is a great choice. There is both indoor and outdoor seating at this atmospheric trattoria right in the heart of the ghetto. If you're just looking for a sweet treat, stop at Panificio Volpe (Calle Ghetto Vecchio, Canareggio 1143) and choose a Kosher pastry from their tempting display of baked goods and breads.